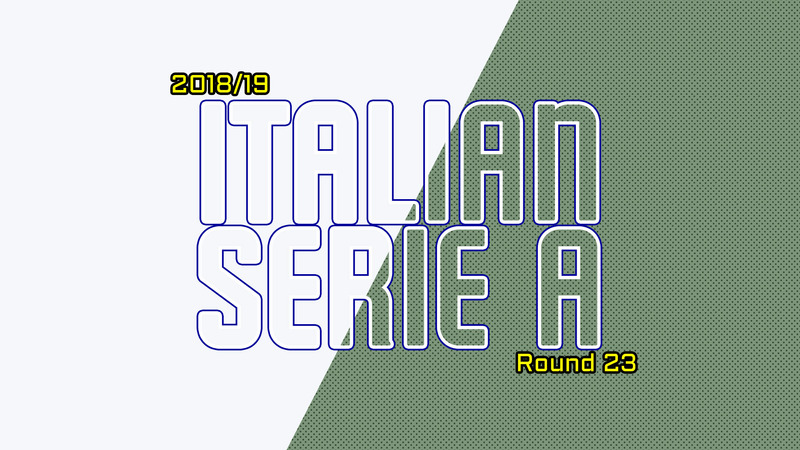 2018/19 Italian Serie A – Round 23 – Juvents re-opens an 11 point lead at the top. Cristiano Ronaldo remains top goalscorer and Juventus widen their lead to 11 points after taking all three points from Sassuolo to take full advantage of Napoli’s failure to get maximum points against Fiorentina. 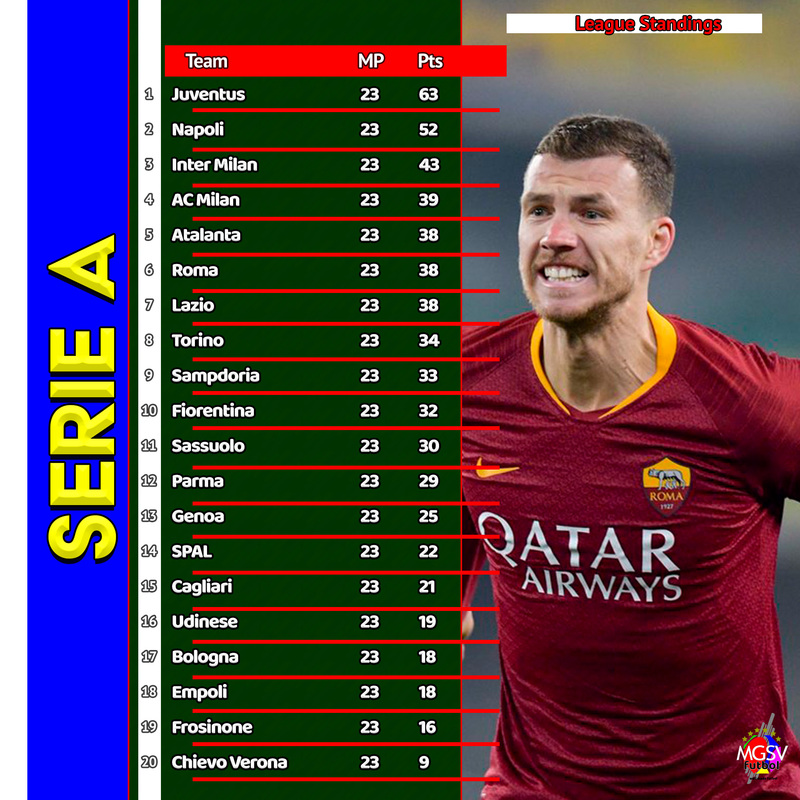 Roma gets back to a win after beating bottom table, Chievo Verona. Napoli dropped points in Florence after a goalless draw with Fiorentina. 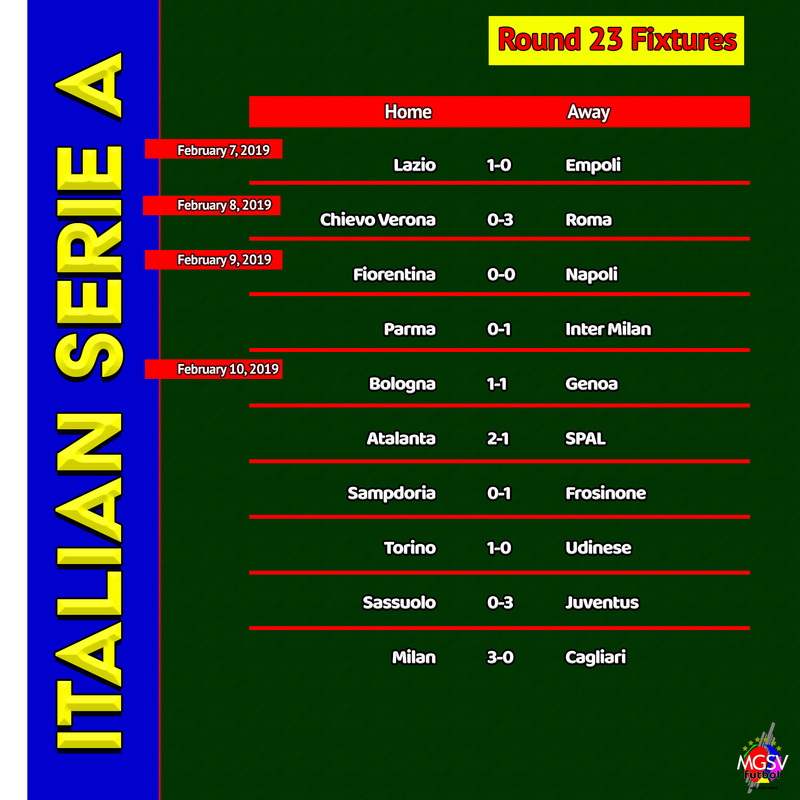 Inter Milan wins their first league match of the year. A ‘1-0’ away victory against Parma allowed Inter to move 2 points closer to Napoli in the standings. Relegation-zoned Frosinone steals a win at Sampdoria. Daniel Ciofani’s 25th-minute goal allowed Frosinone to Genoa with the maximum points from Frosinone. Juventus moved 11 points clear after 3-0 victory at Sassuolo. AC Milan good run of form continues as they pick up another 3 points to hold their place in the top four. 2018/19 French Ligue 1 – Round 24 – PSG gets the victory at Cavani’s expense. 2018/19 Spanish La Liga – Round 23 – Real Madrid is 6 points away from top of the table after Madrid Derby victory.